Another update, another airshow! There seems to be a theme developing here! I’ll try to add a little more variety in my next post, but in the meantime, I went to the Shoreham-by-Sea Airshow 2012 on Saturday 1st September. This is quite a small airfield with a rich history and there were several aircraft displaying here that I had not seen before and many that I really wanted to see, such as the PBY-5A Catalina, B-17 Sally B and several Hawker Hurricanes. There were very few fast jets, due, we were informed, to noise restrictions because of nearby housing. For me, this did not detract from the show as the organisers had put together a packed programme with a great variety, from gliders through to the fast jets, represented by the Tornado GR4 which did a flypast but were unable to do their full role demo due to the noise restrictions and available fuel. However, the mighty Avro Vulcan, XH558, was able to display and was very impressive, both in in looks and noise, as normal. An excellent display was flown by chief pilot Martin Withers. At one point, she eclipsed the sun which had started to break through the overcast. Had I realised, I would not have been looking through the camera at the sun but as it was, instinct took over as I followed the Vulcan with my camera and I took the shot – fortunately, because of the overcast, the sun was not very strong! The overall theme was the centenary of the Central Flying School and many of the training aircraft from all eras of flying were present, from the Tiger Moths of the early years, through the Chipmunks and Jet Provosts to the Shorts Tucano and Hawk T1 of the present day. The weather was overcast for most of the day so not the greatest for photography but I did get a few usable shots which I have uploaded to my gallery. Click HERE or on the image below to have a look. The weather was even worse on the Sunday, when rain disrupted much of the flying so I definitley chose the better day. Click on the image of the Meteor and Vampire above to go to the gallery! Well, it looks like an update is way overdue! This year I again had the chance to go to the Airday at RNAS Yeovilton. Several announcements in the lead up to the show were disappointing, with the withdrawal of the Avro Vulcan, the Sea Vixen and the Rafale’s of the French Navy, but the organisers still managed to put on a superb display. I don’t know how much was last minute but there was a wonderful lineup of classic aircraft, right up to the frontline forces of today, showcased in the commando assault finale! It was a great opportunity too for me to use a new camera and so there are lots of new pictures in the gallery of the day. Click on the picture below to check them out – make sure to view them as big as you can – the size selection is down at the bottom right of each picture! Welcome to another of my rare updates! I had the opportunity earlier this year to attend the RNAS Yeovilton Airday and see the mighty Avro Vulcan XH558 display. I had not seen (or heard) her since her restoration and she was a wonderful sight. It’s amazing how such a large aircraft can be so nimble and graceful. There were many other aircraft displaying that day and I came home with over 1300 images to sort through. I have put several in the gallery (click the image above to be taken there). I do think I need a lot more practice at photographing aircraft – I might just have to go back next year! Some time back now, I went to a joust at Pendennis Castle organised by English Heritage. I was impressed as a lot of work had gone into making it authentic, from the lances with tips designed to bite into the cloth and make the lances break on a hit, to the armour to protect the jousters! Were they taking it easy on each other? Not a bit of it as you can see form the shot below, broken lances flying after a good hit! Click on the picture to go to the gallery and check out the rest of the shots. Here we are at the start of another year – I don’t know where the time is going. What will 2011 bring us – we can only wait and see. 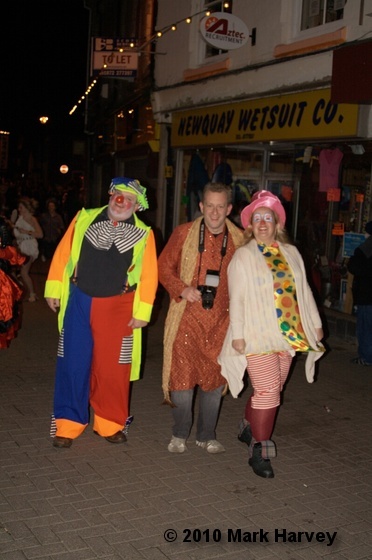 As I have done for several years now, I went into Newquay in the run up to the new year and spent about an hour taking pictures of many of the people celebrating around town in their fancy dress. There is always a good atmosphere on New Years eve and this year was no exception although I have to say there seemed to be a lot fewer people around, even though the weather was dry. Perhaps this is due to the economic situation and there being less money available for people to spare on a trip to Newquay for New Years eve, but who can say for sure. I came home in plenty of time to see the New Year in at home with the family and to start running through the photo’s ready to upload them to the gallery. Here is one to whet your appetite – check out the gallery page for the rest. School projects at my age? Last weekend was spent investigating ‘habitats’ for my daughters school project. Having been to Cardinham Woods in the morning, we went to Mawgan Porth beach in the afternoon. The weather was overcast, but the forecast rain held off until just as we were leaving. I used to live in one of the houses overlooking this beach, so knew where we could find some rockpools for the project. Here’s one of the photo’s from the beach – the gallery is available from the links above and is in the ‘Newquay’ section. Oh – and it looks like I need to update my copyright watermark too! Well, it seems I should be able to update this blog wherever I am so here goes! 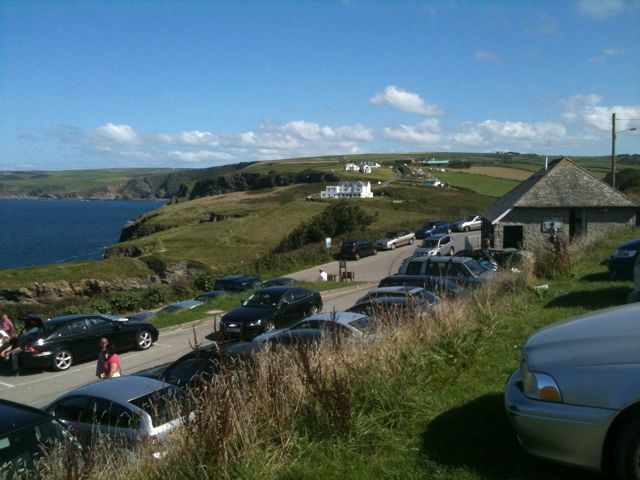 This last weekend we went to Port Isaac (where the TV programme Doc Martin is set, called Port Wenn in the series). Weather was perfect and the views were great. I still have to process the pictures from my main camera but (hopefully) here’s a shot from my phone in the meantime. It’s been a while since I did any updates here and in that time, WordPress have updated the software and my old theme did not like it. I was intending to change to the new theme anyway as it offers many more options – so here we are. Unfortunately, in the process of the upgrade, I managed to lose my old posts so I am starting again. I make no promises of how often this site will be updated! At the moment, expect the look of the site to be changing as I work to get the appearance how I want it.